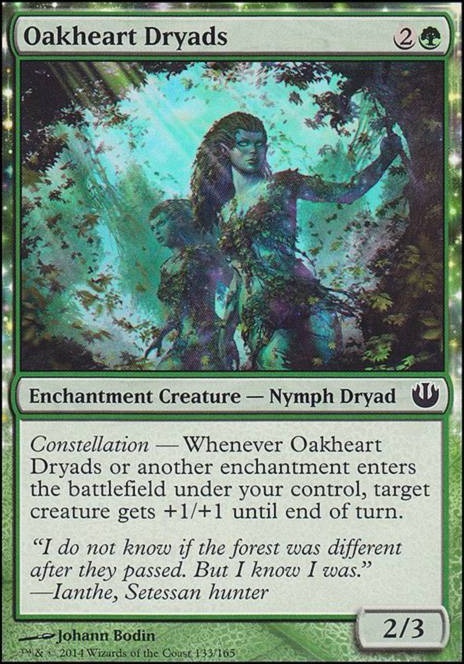 Constellation — Whenever Oakheart Dryads or another enchantment enters the battlefield under your control, target creature gets +1/+1 until end of turn. The problem with Eidolon of Blossoms and Oakheart Dryads is turn 3 and 4 are the turns you want to play your enchantments. Eidolon of Blossoms and Oakheart Dryads are both decent in the deck but you usually want to prioritize the enchantments. Nice deck Gody322! 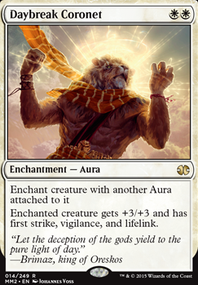 I am a budget player, so I always appreciate a budget deck. 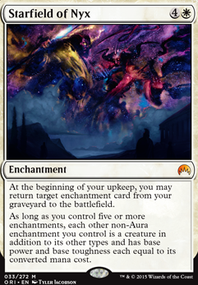 I hate seeing a cool deck that has $200 of fetchlands or mystic rares that I will never be able to purchase. 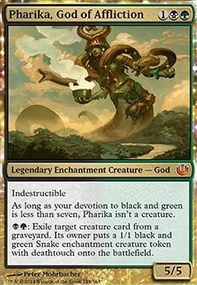 I'm curious, do you have a limit to how much you will spend on a deck? 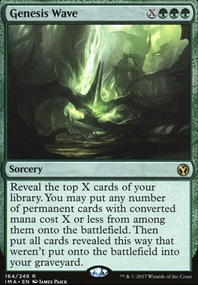 There are a lot of green creatures or green/blue creatures that could be added to this deck for relatively cheap that would only bring the cost of the deck up to $25-$30. 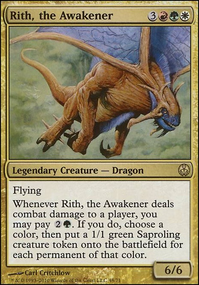 Any creature with Constellation, like Eidolon of Blossoms or Oakheart Dryads would work with the deck. 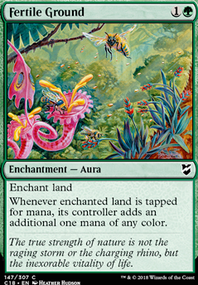 I agree with you that adding a 2nd color will add costs, but I usually already have a few dual color lands that I can use for each deck and I don't mind purchasing 1 or 2 good lands for $5 each to make a deck work. This is a pretty rough draft though...there definitely is missing removal, and some more token production for trostani's populate ability seems necessary. But as a starting point, it seems fitting. What do you think?